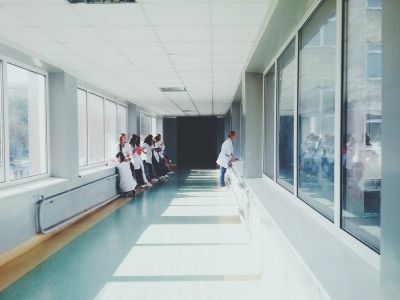 Markets for hospitals and physicians have become more concentrated in the last few years, and this consolidation may lead to worse care quality, according to a report in The New York Times. 1. Although some healthcare leaders have claimed hospital mergers can improve medical care, studies have found mortality rates and health setbacks increase when market competition decreases. 2. Martin Gaynor, PhD, an economics professor at Pittsburgh-based Carnegie Mellon University, has authored several reviews exploring the consequences of hospital consolidation. "Evidence from three decades of hospital mergers does not support the claim that consolidation improves quality," he said. 3. This is especially true when the government constrains prices, as is the case for U.S. Medicare. "When prices are set by the government, hospitals don't compete on price; they compete on quality," Dr. Gaynor said. However, this practice does not take place in highly consolidated markets. 4. For example, in 2006, the National Health Service in the U.K. started a policy that increased competition among hospitals. Dr. Gaynor authored a study showing that this policy led to shorter hospital stays and lower mortality rates. For every decrease of 10 percentage points in hospital market concentration, 30-day mortality for heart attacks dropped nearly 3 percent, the study found. Additionally, several studies of Medicare found hospital competition leads to lower mortality rates from heart attacks and pneumonia. 5. In another study, investigators from the FTC looked at what happens when cardiologists team up into bigger groups. The study examined the health outcomes of about 2 million Medicare beneficiaries treated for hypertension, a cardiac ailment or a heart attack between 2005 and 2012. The researchers found the patients were more likely to have heart attacks, visit the emergency department, be readmitted to the hospital or die when cardiology markets are more concentrated. 6. "What the research shows, though, is that there are lots of ways markets can function, with more or less government involvement," Dr. Frakt wrote. "Even when the government is highly involved, as is the case with the British National Health Service or American Medicare, competition is a valuable tool that can drive healthcare toward greater value."